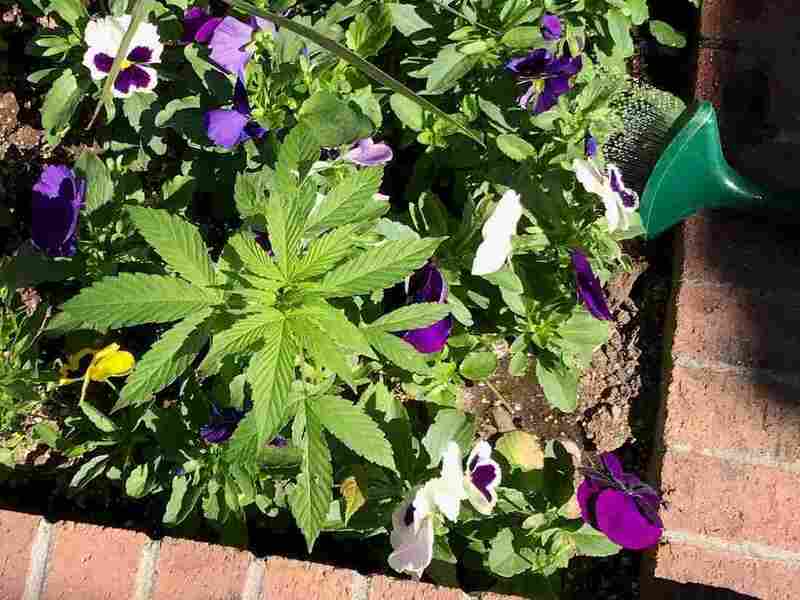 Wyoming City Workers Find Unexpected Weed In Planters: Marijuana Three cannabis plants remained hidden amid city-owned pansies and marigolds for weeks, until they sprouted up above the blooms. Police called it a joke and say it's not the first time. At least three marijuana plants have been discovered in city-owned planters in Powell, Wyo. Parks employees in Powell, Wyo., realized they had been duped into applying their green thumb unlawfully when they found a handful of healthy marijuana plants taking off in some of the city's public planters. 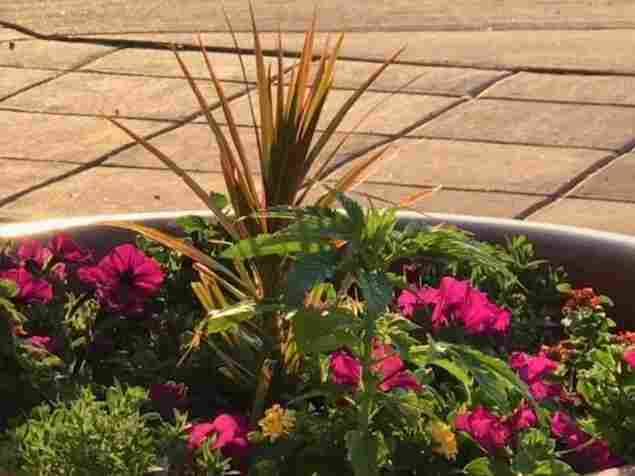 The working theory is that marijuana seeds were surreptitiously buried among the purple pansies, pink zinnias and orange marigolds at the start of the summer as some sort of joke, Powell Police Chief Roy Eckerdt told NPR. For weeks, the illicit plants were regularly watered and tended by two Parks and Recreation employees who failed to see them under the decorative seasonal flowers. It wasn't until late last month, when a couple plants shot up well past the other blooms, that employees finally recognized the intruders and alerted police, Parks and Recreation Superintendent Del Barton explained to NPR. "They were hard to see for at least a few weeks but as soon as they grew above the line of the flowers that were there, that's when the workers recognized them and yanked them out," Barton said. Workers unearthed a third cannabis plant last week and it is possible that there are others, Barton warned. "We haven't found any more so far but they could be out there," he said. City of Powell employees discovered three marijuana plants had been secretly grown in city-owned planters. It's also not the first time someone has attempted this kind of horticultural hilarity in city-owned pots and landscaped beds, Barton told the Billings Gazette. "We've had incidents in the past where, for some unknown reason, people decide to put pot seeds in the downtown — we have these large 100-gallon flower pots — and for some reason people like to put weed seeds in the flower pots," he said. Meanwhile, Eckerdt said the police have no leads as to who is behind the prank, but whoever it is, they are bold. The first two plants were discovered just a block away from the police station. Eckerdt said that prompted him to check all the planters around the station for marijuana. "We have about 10 pots just outside the station. Thankfully we didn't find anything that wasn't supposed to be in there. That would have been really bad," he said, noticeably relieved. Possession and cultivation of marijuana are illegal in Wyoming. They are both misdemeanors punishable by up to six months in jail and a maximum $750 fine. The Billings Gazette reported that the plants have been logged into evidence and will be destroyed. As for motive, Eckerdt posited a simple explanation: "You know, I think it is just a joke. Someone trying to be funny." And apparently, it's working. "Folks are getting a big kick out of the story," he said. He can't wait for it blow over, he added with a laugh.